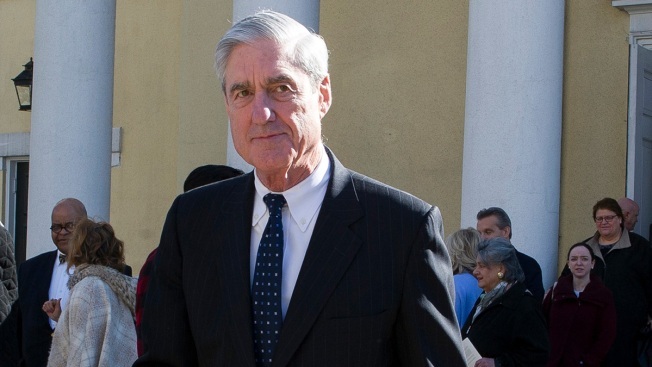 In this March 24, 2019, photo, Special counsel Robert Mueller departs St. John's Episcopal Church, across from the White House in Washington. Democrats say they want "all of the underlying evidence" in special counsel Robert Mueller's investigation. But what is all of that evidence? In one Mueller case, that of longtime Trump confidant Roger Stone, the government said it had turned over 9 terabytes of discovery, an amount so large that Stone's lawyers said if it were on paper it would pile as high as the Washington Monument, twice. The requests for underlying evidence are central to Democrats' demands for Mueller's full report, which a Department of Justice official confirmed to NBC News Thursday is over 300 pages. Democrats say that they need all that information to make their own conclusions, and to ensure that Mueller's findings are not filtered by Attorney General William Barr, whom Trump picked for the job. While they may not need every personal item seized by Mueller — like Manafort's jacket, meant to show his lavish lifestyle, or the contents of Stone's hard drive — they do want as much information as possible that is relevant to his decisions.